Unique Astrology gift book gives humorous insight into Sagittarius personality. Click Here! Sagittarius the Archer, the ninth sign of the tropical zodiac, is a fun-loving masculine sign with a fondness for adventure. The Sun on his annual journey shines through Sagittarius from Nov 22 to Dec 21, though it can vary depending on the year. In astrology the Sun stands for the fundamental character of our true self, symbolizing our inner nature. This inner self is essentially light, so the zodiacal sign is like a filter on a lens, colouring the image. Each sign has a planetary ruler, and Sagittarius is traditionally ruled by the fortunate planet Jupiter, the mythological lord of the gods. Jupiter was known to the ancient Greeks as Zeus, from which we get the Latin deus, meaning God. Click this to test your compatibility with all signs, or check out these signs, the most compatible for relationships with Sagittarius! They are compatible with Sagittarius. The Sun in Sagittarius favours social status, the higher mind and travel, especially in pursuit of idealistic aims in faraway places. Sagittarians are idealists and usually much in demand socially, because you are like a breath of fresh air. Sagittarius is a dual sign, which has (of course) both an up and a down-side. 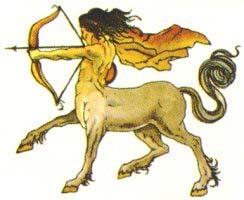 The symbols for Sagittarius are the hunter (archer) and the centaur, a mythical half-man, half-horse. These signify the search for truth and knowledge, as well as the constant pursuit of adventure and new ideas. Intellectual curiosity covers a wide range of subjects, but you do get bored and restless when surrounded by dull people or circumstances. You would rather learn on your own through travel and experience than endure structured classroom environments and routine work assignments. However, having broadened your knowledge and gained experience in the world on your own, you could become an excellent teacher or administrator in the very educational system you once found so restricting. Enthusiastic Sagittarius has a passion for sports. Physically challenging endeavours of all kinds, including archery, jogging, hang gliding, sailing, and fishing (especially for big game fish) are favourite activities. One big challenge to overcome may be the battle of the bulge, when your fondness for food, glorious food and a good drop finally catches up with you. A natural gambler and risk-taker, you usually come out on the winning side, especially when you try your luck at horse or dog racing. You love music, art, dance, and drama and have considerable talent in these areas. Your colours are maroon, tan, navy, orange, and cobalt blue. The ancients associated the ruby with Sagittarius, while modern astrologers give this sign the turquoise. Your highly adaptable, dual personality can easily associate itself with both gems. 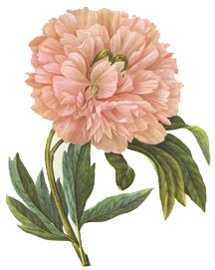 Because Sagittarius is associated with bigness in general, flowers for this sign include the large blooms such as huge mums, hydrangeas, dahlias and peonies.